A helmet and shoulder pads, or other pads, aren’t the only protection needed for sports. 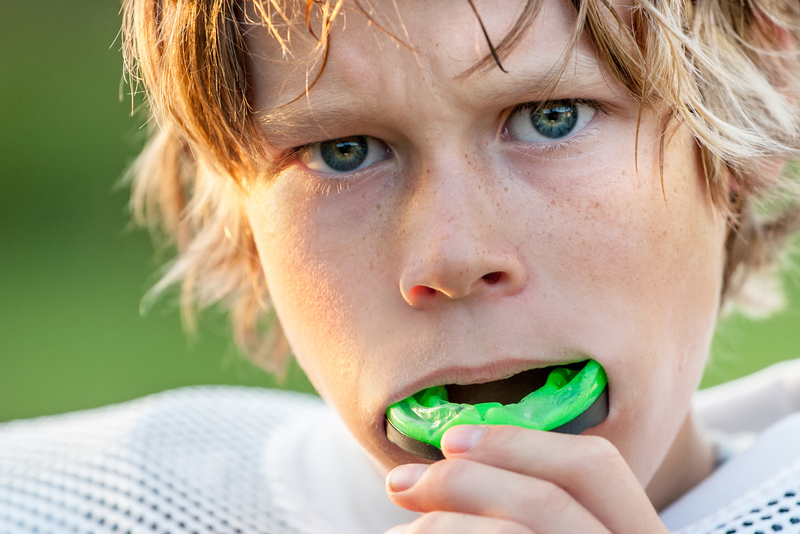 Make sure the athlete in your family also wears a mouthguard. Participation in youth and adolescent sports has grown steadily over the years. And, unfortunately with this growth we have seen a direct correlation with injury to teeth. Did you know that an athlete is 60 times more likely to sustain damage to teeth when not wearing a protective mouthguard? A custom-fitted mouthguard helps to absorb and spread the impact of a blow to the face, which could otherwise result in a mouth or jaw injury. Many times dental injuries end up requiring time off of school or work for lengthy dental treatment, and can be painful and even disfiguring. The cost of an injury to your athlete’s teeth or jaw can far exceed the small investment of a custom-fitted mouthguard. We recommend that your athlete wear a mouthguard in sports with impact or collision, and that it’s worn during both practice and competition. Sports to include are acrobatics, baseball, basketball, boxing, field hockey, football, gymnastics, handball, ice hockey, lacrosse, martial arts, racquetball, roller hockey, rugby, skateboarding, skiing, skydiving, snowboarding, soccer, softball, squash, surfing, tennis, volleyball, water polo, weightlifting, wrestling, and some track and field events. Mouthguards vary in price and style. They typically cover the upper teeth and also safeguard the soft tissues of the tongue, lips, and cheeks. Your mouthguard should be comfortable, resistant to tearing, and resilient. It should fit properly, be durable, easily cleaned, and not restrict your speech or breathing. Previous Previous post: The Records Process – What is it?